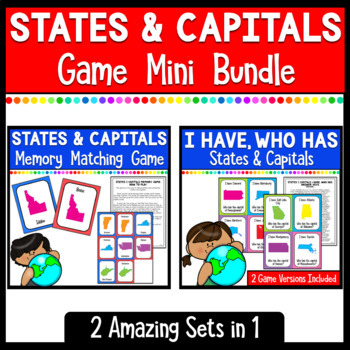 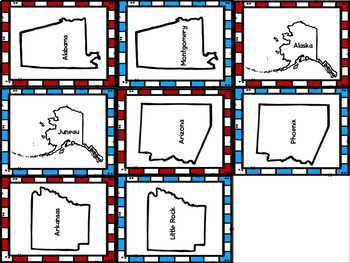 This great bundle combines the fun I Have Who Has States & Capitals game which can be played in multiple ways with the fun States & Capitals Memory Game. 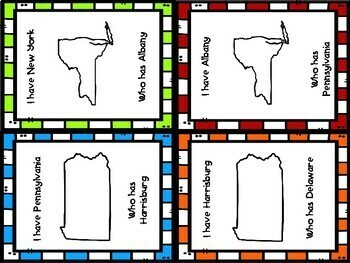 This is a great way for students to practice what they are learning. 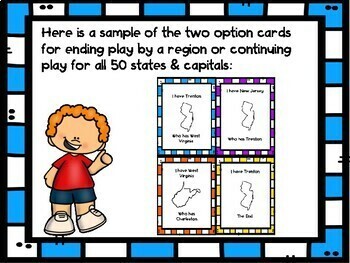 204 cards in all!